Sent to die you say? Nay - we say sent to be free and prosper! According to Gearbox the Borderlands is selling well, extremely well, so much in fact that a lot of people are finding the game sold out. 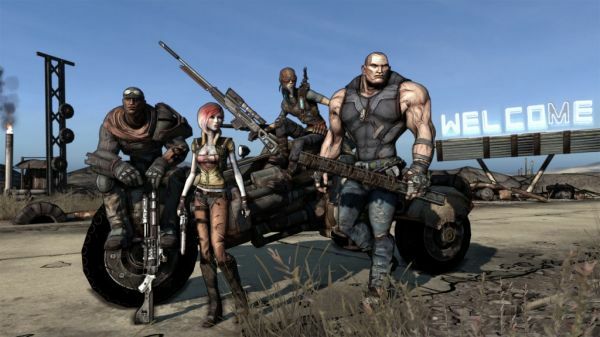 "Yes, Borderlands copies of the Xbox 360 SKU have run out in a few regions, especially the east coast," Gearbox VP of Marketing Steve Gibson told IGN. "We are aware of this and are working with production and distribution at ramping up to catch up with demand." "There will be more copies of Borderlands available on shelves as early as Thursday or Friday at many retailers," he added. "The PlayStation 3 SKU issues on the west coast are mostly regional and can be addressed by reallocation. We are confident that will happen quickly." Has anybody had any trouble finding the game? If so you might want to check the site early next week...we may just have a copy to give away! The Co-Op Revolution grows strong.